GeoJSON into ScraperWiki will go! • Comments Off on GeoJSON into ScraperWiki will go! Surely everyone likes things on maps? 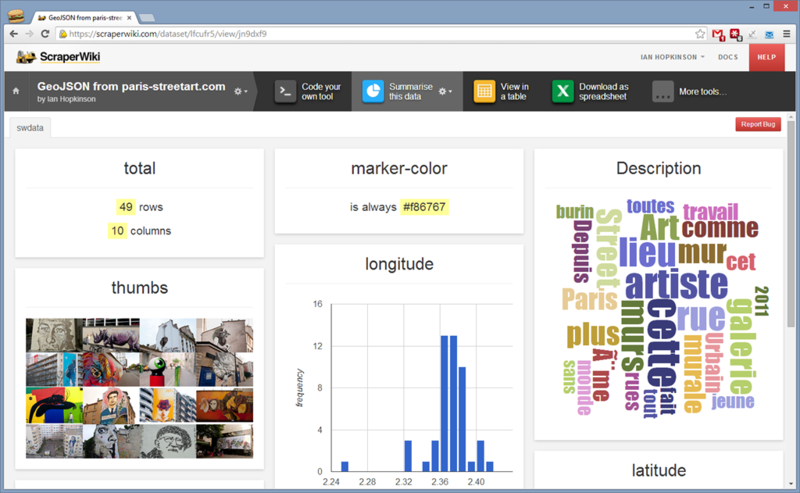 Driven by this thought we’re produced a new tool for the ScraperWiki Platform: an importer for GeoJSON. We envisage the GeoJSON importer being handy to visualise geographic data, and export that data to software like Tableau using our OData connector. Why should I import GeoJSON into the ScraperWiki Platform? In addition you can use tools such as download to CSV or Excel, so it will act as a file converter. 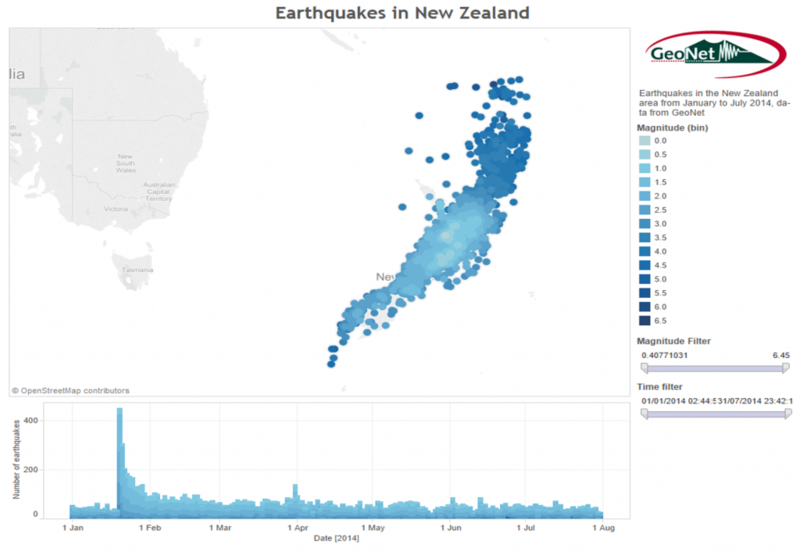 Or you could use the OData connector to attach directly to Tableau, we did this with some data from GeoNet on earthquakes around New Zealand. We’ve provided instructions on how to do this in an early blog post. If you want to try an interactive version of the Tableau visualisation then it’s here. What will you do with the GeoJSON tool?